How much does it cost to start a small business? Successful entrepreneurs will give you a variety of answers depending on your industry. But no matter what your goal or sector, keeping overhead costs under control is no easy feat. When experiencing success, it's easier to neglect overhead costs , since they don't appear to be causing a problem. But avoiding unnecessary expenses during a period of prosperity might prevent having to take drastic cost-cutting measures, such as pay cuts or layoffs, in times of less growth. Fortunately, systems like time card apps and efficient payroll solutions make running a lean business easier than ever. The key is identifying which processes and technologies can deliver the best returns for your business. Even when virtually everything seems to be going digital, relying on paper is still common ... and costly. In fact, the average office worker still uses a staggering 10,000 sheets of copy paper annually! Is your workforce regularly printing material that could just as easily be viewed electronically? Ask your workers if they absolutely need a paper version of a document – for example, if the printout is only for an internal meeting, it may make more sense to have everyone view the document on a screen in the office conference room. If your business must rely on paper, take small steps to minimize waste, such as using double-sided printing and having a recycling program in place. For many businesses, office space is entirely optional. For others, it may still be necessary, but due to technological advances, you might not need quite as much as before. When assessing your operational expenses on brick-and-mortar, there are two equally important considerations. First, are you paying for more than you need? Second, what are you paying per square foot? If you start noticing that a lot of space isn’t regularly being filled by people or utilized for equipment and storage, then it might be time to look for a smaller office. This effort can go hand-in-hand with embracing innovative new workspace designs that encourage employees to work in communal spaces, rather than being separated in cubicles and private offices. Similarly, even if it doesn't make sense to reduce your actual space, you might be able to justify moving to a location with better property values and lower rents. If you are running a business that has been around for a while, you may not even realize that your rent has escalated over the years. It's worth researching alternate locations in less expensive or up-and-coming neighborhoods. Finally, try to keep office expenses flexible by avoiding long-term leases, particularly when you are getting started. Work from home if possible and consider shared workspace like WeWork, where you pay month-to-month. Hiring a full-time employee is a big decision, whereas hiring a contract worker is far less commitment. Opting to bring on a freelancer can also be more budget-friendly, as it eliminates the need to cover the salary and benefits that would come with a full-time hire. Contracting instead of hiring is particularly useful in the early stages of a business when you’re often uncertain about whether you should staff up. If you envision an additional role, hire a contractor on a short-term basis and assess it that way first. If the position proves to be useful, you can always decide to offer that person the job – or interview candidates for a full-time position. While there are many talented professionals who are uninterested in short-term contract employment, there are also plenty who prefer it. Millennials, for example, are drawn to the flexible schedules that freelancing often provides. Both ambitious new graduates who are entering the job market, as well as industry veterans who are specialized in their field of work, are seeking work-life balance and finding it in contracting. Reducing the amount of human labor you devote to menial tasks is key to reducing both overhead costs and wasted time. Many tasks that might have required a significant amount of time and money in the past can now be either automated or performed more quickly through new technology. 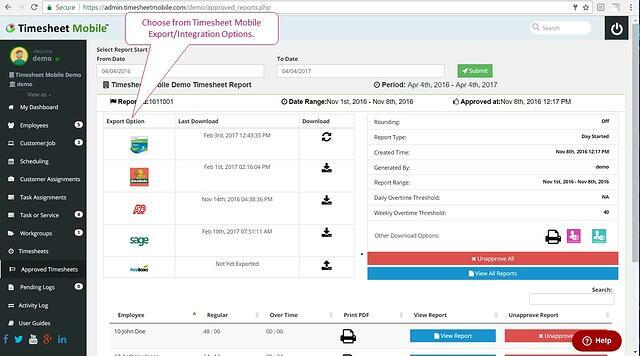 For example, Timesheet Mobile can not only automate timesheets and simplify employee scheduling, but also make the bookkeeping process easier to manage. Rather than depending on an administrator or supervisor to track workers’ hours, Timesheet Mobile’s geofence-enabled time card app captures the hours for you and integrates with your payroll system. Though dealing with taxes certainly isn't the most enjoyable part of running a business, you should always be seeking out ways to reduce your tax liability. Keep all business-related expenses separate – and paid for on a designated business credit card – so you can get the biggest possible deduction come April. Of course, aggressively seeking to lower your taxes is not an excuse to get sloppy. Don’t assume you have the right to write something off until you’ve done your research, ideally with the assistance of a professional. Similarly, the longer you wait to do your taxes, the more likely you will be rushed and prone to making costly mistakes. Keeping your head in the (tax) game year round will mean less headaches in April. Not all credit cards are created equal. Picking the right one for your business can help you save thousands of dollars through discounts, rewards and lower interest rates. A card that has a high annual fee might not make sense for your personal use, but it might be a bargain for your business. More important than finding a good credit card, however, is establishing good practices. Keep track of your expenses and pay off your bill as quickly as possible to ensure that you’re not wasting money on late fees or subjecting yourself to higher interest rates. When you’re thinking too much about growth or hitting pay dirt, you tend to justify investments based on the reasoning that you will pay it off when you turn a profit. But the ability to control small business startup costs is one of the best ways to get on the path to stable, long-term profits. This requires putting the brakes on now and then and examining the investments you’ve made in systems and in people. Consider the possibility that something or somebody that you believed was a valuable addition to your business may not have been worth the cost. Then, either make an appropriate change or find a way to learn from the mistake. Controlling overhead costs for small businesses is always a juggling act. What you can do is educate yourself about cost-cutting methods and . Take inventory on your expenses and consider economical alternatives where it makes sense. Knowing exactly where your business stands will enable you to think more clearly and act more confidently.